Neck pain is... Well, it's so proverbially intrusive we often describe life's trials and tribulations as being a pain in the neck (or other, more nether regions)! Like many other regions in the body, the neck struggles with the opposing requirements of stability, and the mobility we require to literally keep an eye on what the world is about to do to us. Humans have binocular vision, which means that we have two eyes facing the same way, giving us overlapping fields of vision. This gives us excellent depth perception, but also means we have to turn our heads to look directly at something. As a caveman checking on whether a predator is sneaking up on you, you want to have a good range of motion. However, as your head contains some relatively important bits, like your brain, you also want its support to be, well, supportive. The average head weighs around five kilos, and the centre of gravity actually lies slightly in front of the spine. That means the neck muscles, particularly the ones at the base of the skull, have to work pretty hard just keeping the head in a neutral posture. ​If you do something like contract the extremely strong chewing muscles of the jaw, they have to work even harder to counterbalance them (one of the reasons why the two areas are so inter-related). 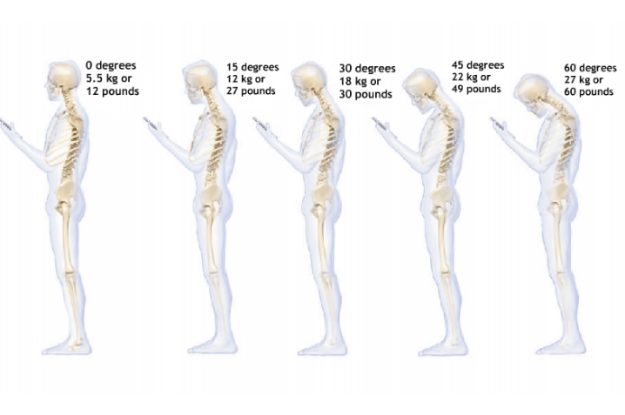 ​If you do something so rash as to bend your neck forwards as little as 15 degrees forward, that weight is now the equivalent of over twelve kilos. At 30 degrees, nearly 20. By 45 degrees, the weight is 22 kilos and counting, and by 60 degrees, it's 27-odd. ​For reference, 60 degrees is the kind of angle you see people slumping at over their phone or tablet all the time on public transport. So the neck works hard, and with our sedentary and technologically-focused lifestyles, we sometimes make it work harder. There are lots of important structures in the neck region, so we know the body will be protective of it. If our brains think that giving us a little more pain or stiffness in an area will make us protect it, it will quite happily do so. Your osteopath can help to screen for any of the more serious reasons for neck pain (i.e. the things your brain may be worried about!) and help you to learn how to be kind to your neck. By mobilising, stretching, and strengthening, you can help make that neck pain be less of a pain in the neck. 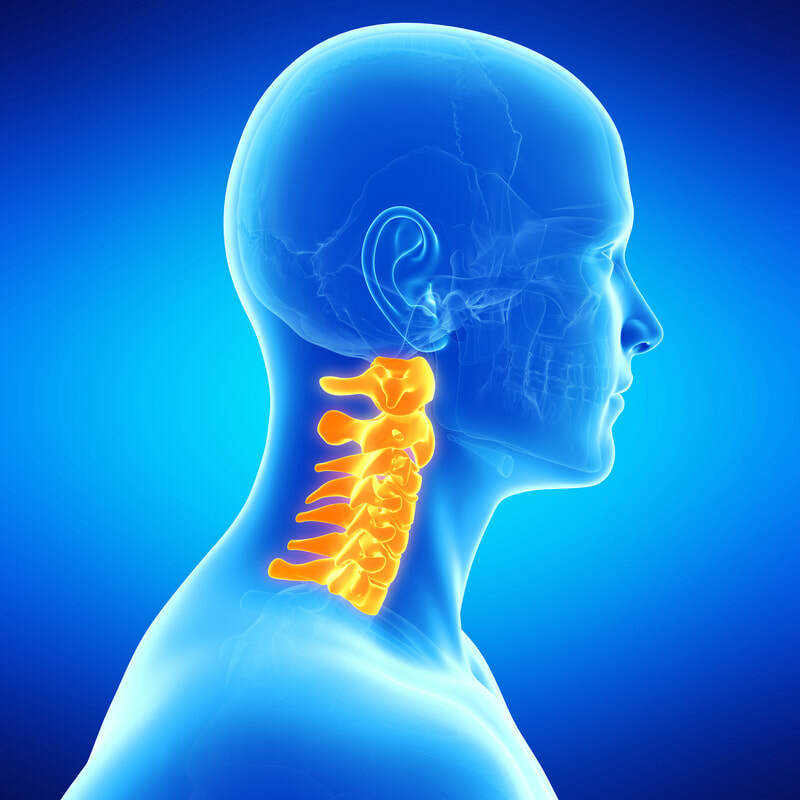 ​Do you suffer from neck pain?